January Workshops At Forest - An Alternative Christmas Gift! Forest are pleased to announce that they have a great line up for you in the new year too! The ideal Christmas gift for the maker in your life, or a treat for yourself if you want to learn something new this January. Forest hold regular flower arranging classes, suitable for all and a great opportunity to get creative and learn the tricks of the trade. Flower workshops cost £90 per head, aside from floral crown classes which are £25, and include light refreshments and all your flowers to take home. Classes start 7:30pm and last approx 2 hours. They are suitable for all levels, including beginners. 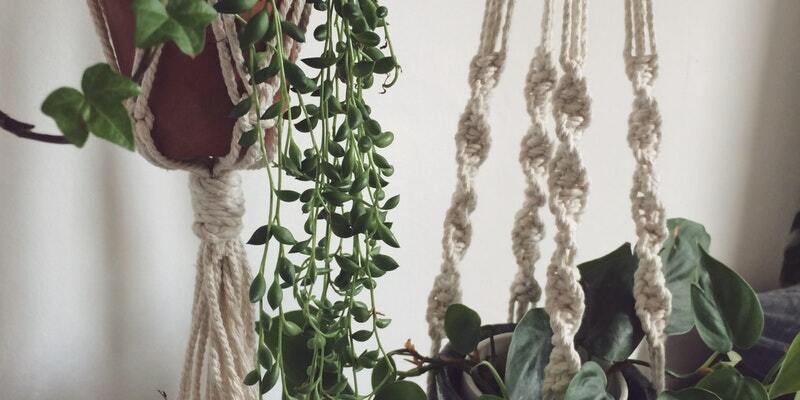 Macrame Plant Hangers - Join Brooke at Forest Deptford to learn how to make your own macrame plant hanger. Brooke will show you how to create a hanger out of cotton rope tied into simple square knots and half square knots. Ideal for styling your plants at home or as gifts for friends and family. All materials are included. Floral Painting & Collage - Join surface pattern designer Charlotte Beevor for a creative and relaxing evening where you will make a series of abstract floral artworks/collages inspired by the plants at Forest. At the end of the workshop you will choose your favourite piece, and Charlotte will create a blank greeting card out of it that which you will receive at a later date to be framed in your home or to give as gift! Candle Making - join milkwood candles to explore the world of natural scent, making your bespoke blend and hand pouring your own candle to take home. The ticket price also includes a drink, specially designed to compliment the scents created in the workshop. For more info on the classes click here!